La Miniatura (Millard House) marked Frank Lloyd Wright’s departure from the Prairie School that had brought him much success to date and saw a shift in focus onto that of one of the most commonplace of materials: the concrete block. A broad exercise in modular construction with the potential for efficiencies to be derived from repetition, Wright designed four such houses, with La Miniatura serving as his first. 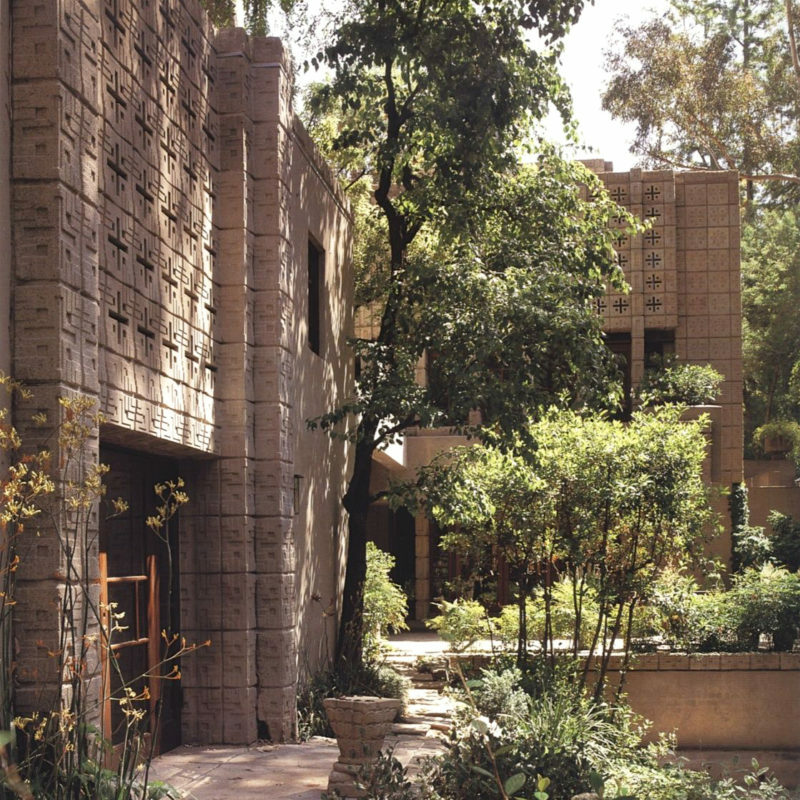 Listed on the National Register in 1976, the design blends itself with the native landscape surround in a different manner to his previous Prairie works – by utilising rough patterned blocks, with irregular textures and earth tones that provide a contextual mirror. Three storeys provide a programmatic split between dining, entertaining and living spaces and though critical reception was initially poor and the design was prone to services issues, it has since been classified a remarkably notable architectural work of the last century. Trading hands a number of times since constructed for rare-book dealer Alice Millard, La Miniatura has found a place in popular culture through appearances on screen, most notably HBO’s Westworld.